Jimmy Graham surpassed 100 yards for the first time since Week 2 in 2014. Until their defense unraveled again in the fourth quarter, the Seattle Seahawks finally got a glimpse of the elite tight end they traded for during the offseason. 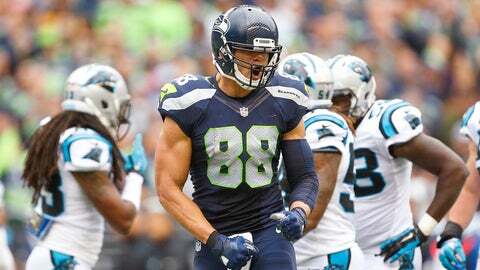 Jimmy Graham, who has been struggling to find his niche in the team's offense, had his best game since joining the Seahawks with eight receptions for 140 yards. It was Graham's first 100-yard game since Week 2 with the New Orleans Saints in 2014. Jimmy Graham's 140 receiving yards on eight catches today is the most he's had since career-high 179 yards with Saints in 2013.